Attain a versatile range of dirty tones for a variety of musical styles. 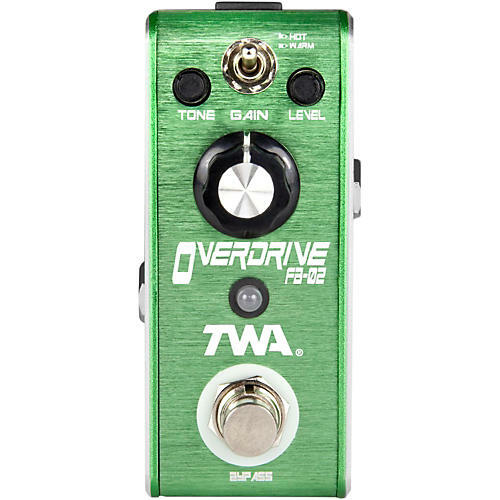 TWA FLY BOYS feature a lightweight, extruded aluminum chassis thats the perfect size for crowded pedal boards or long-distance travel gigs. Quality components and a bullet-proof construction assure reliable performance while True Bypass switching keeps your tone clean and clear. The FB-02s Warm setting emulates the legendary œ808 overdrive sound; ideal for use with single coils, this setting is also perfect for pushing a tube amp over the top.